Over a month ago Archbishop Carlo Vigano, former apostolic nuncio to the United States, made a number of accusations against Pope Francis and others regarding their alleged cover-up of the Cardinal McCarrick affair. 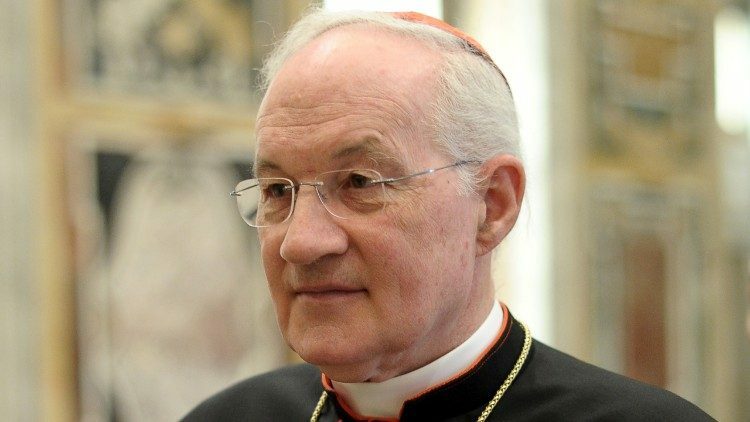 More recently Archbishop Vigano has singled out Cardinal Marc Ouellet, the Prefect of the Congregation for Bishops, and urged him to come forward to support Vigano’s claims. In response Cardinal Ouellet today released an open letter to Archbishop Vigano, but he didn’t give the response Vigano was hoping for. Ouellet’s letter is a combination of fawning veneration of Pope Francis, an avoidance of the main issues, and personal attacks on Archbishop Vigano. Below is the text of Ouellet’s letter with my commentary included within. From 30th June 2010, when I became Prefect of the Congregation for Bishops, I never presented in audience the McCarrick case to Pope Benedict XVI or to Pope Francis – not until recently, after his dismissal from the College of Cardinals. The former Cardinal, retired in May of 2006, had been requested not to travel or to make public appearances, in order to avoid new rumors about him. [Again, Ouellet admits that restrictions were in place.] It is false, therefore, to present those measures as “sanctions” formally imposed by Pope Benedict XVI and then invalidated by Pope Francis. After a review of the archives, I find that there are no documents signed by either Pope in this regard, and there are no audience notes from my predecessor, Cardinal Giovanni-Battista Re, imposing on the retired Archbishop the obligation to lead a quiet and private life with the weight normally reserved to canonical penalties. [Now Ouellet wants to play the semantics game – there were no “sanctions,” just “measures.” But he’s admitting to the main accusation made by Vigano: that McCarrick was told to lay low by Pope Benedict XVI based on rumors of his sexual activities with seminarians and others.] The reason is that back then, unlike today, there was not sufficient proof of his alleged culpability. [Why wasn’t their sufficient proof? With so many rumors, why wasn’t a full investigation initiated? This indicts Benedict as much as Francis, of course.] Thus, the Congregation’s decision was inspired by prudence, and the letters from my predecessor and my own letters urged him, first through the Apostolic Nuncio Pietro Sambi and then through you, to lead a life of prayer and penance, for his own good and for the good of the Church. His case would have deserved new disciplinary measures if the Nunciature in Washington, or any other source, had provided us recent and definitive information about his behavior. [Ouellet presents himself as outside the loop – but he was the Prefect of the Congregation of Bishops! Why couldn’t he initiate an investigation of one of the highest-ranking bishops in the world?] I am of the opinion that, out of respect for the victims and given the need for justice, the inquiry currently underway in the United States and in the Roman Curia should provide a comprehensive and critical study of the procedures and the circumstances of this painful case in order to prevent something like it from ever happening in the future. You shall know the Truth and the Truth shall set you free. NOW is the time for Truth. Thank you for making this clear…..especially your last line. I was feeling sick to my stomach, as well. Thank you. With Rome it always goes back to a false claim of authority. You are sinning if you criticize us. We hold power over you. Repent! Or be punished. Bergoglio is not God. He has no spiritual authority whatsoever. The day that Arch. Vigano and other Papal Nuncios were presented to the Pope was Friday 21st June, at which time there was a brief conversation with no mention of then Card. McCarrick. This sentence serves as a smokescreen, as Card. Oullet’s letter, when dealing with the conversation of the 23rd June, actually describes the surrounding circumstances of the 21st June. On 23rd June Arch. Vigano had a private conversation with the Pope. He had sought this audience seek clarification of the Pope’s remarks to him on the 21st June. It was the Pope who then raised the subject of McCarrick by asking the question “What is Cardinal McCarrick like?”, which Arch Vigano duly answered. This letter plainly misrepresents what Arch. Vigano said in his testimony.